Just slide your hand in and then enjoy the comfort and worry free protection this 18-inch oven mitt will provide from heat. This Kevlar oven mitt is designed with the highest grade materials for the ultimate in heated protection. 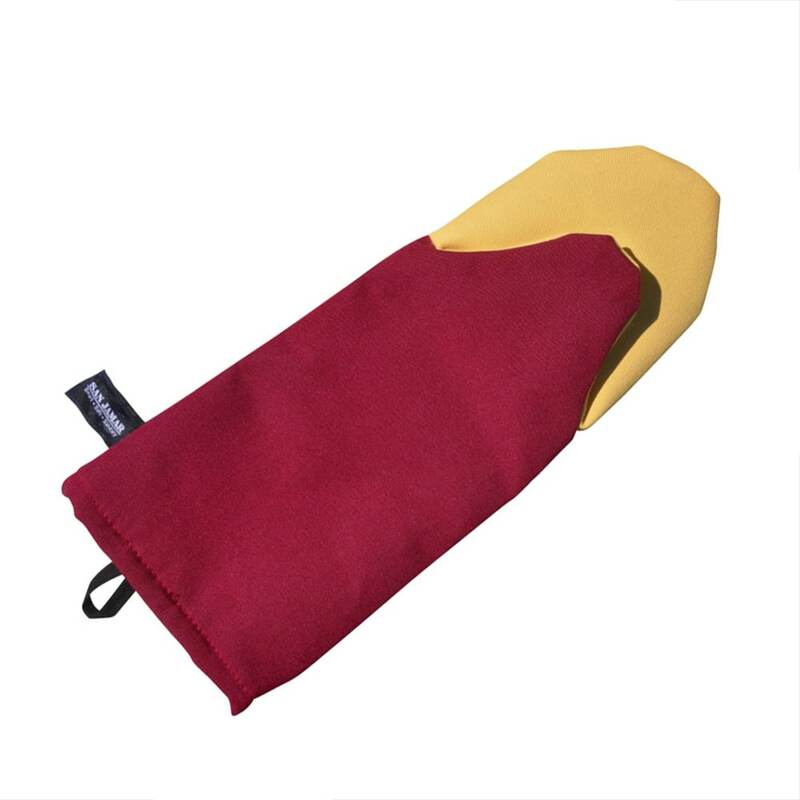 This 18-inch KoolTek Kevlar oven mitt by San Jamar can be used to remove roasts, pies, and cakes from the oven, or for additional hand and wrist protection when steaming, boiling, and grilling meats, vegetables and pastas! This item is the perfect addition to anyone's kitchen and makes a great gift for newly weds, college students or those who just adore kitchen accessories! This Kevlar sock puppet style oven mitts are simply essential for any chef to own to protect their hard working hands from hot handles, bowls, and pots.